Don’t wait in line with other tour operators or the public. Our official Partner Entrance gets you in straight away. Beat the crowds entering 30 minutes before other operators and 1.5 hours before the public. Leave everyone else behind and explore off-limit areas on our exclusive tours. According to Trip Advisor, our Vatican Museum, Sistine Chapel, & St. Peter’s Basilica Tour is the most popular in the world. Spend more time with our art history guides and less time waiting in lines by using our official Partnership Entrance into the Vatican to explore the treasures of the Sistine Chapel and St. Peter’s Basilica. Thanks to our Official Vatican Partnership and Partner Entrance you can enter the Vatican Museums before others without any fuss. Our guides will take you on our most popular tour through the miles of museums to the Sistine Chapel, Raphael Rooms and St. Peter’s Basilica. With a small group of 12 people, this semi-private tour is a relaxing way to explore the miles of museums in the Vatican. Enter through our official Partnership Entrance and bypass the lines to the Sistine Chapel, Raphael Rooms and St Peter's Basilica. Book two of our most popular guided tours with Skip-the-line access. Spend the morning in the Sistine Chapel, Vatican Museums and St. Peter's Basilica. After lunch, explore the Colosseum, Roman Forum and Palatine Hill. Slip through our official Vatican Partner Entrance to stand in the Sistine Chapel 30 minutes before other tours and nearly two hours before the public. Afterward, explore the Vatican Museums at your own rate and at your own pace. Want to visit the Sistine Chapel and Vatican Museums without a guide, but still access instantly through our Official Partner entrance? This is your chance to explore the Vatican at your own pace once you're inside. Enter the Vatican before it opens to the public for a rich breakfast in the beautiful Pinecone Courtyard. Afterwards you'll embark on a guided tour of the best of the museums with the Raphael Rooms, Sistìne Chapel and more, without the crowds, topped by Skip the Line entry to St. Peter's Basilica and the Pietà. Enjoy access to restricted areas and the speed of our Official Partners entrance on this complete tour of the Vatican Museums with an expert guide. See hidden gems like the Bramante Staircase, as well as the Pinacoteca, Raphael Rooms, Sistine Chapel, St. Peter's and the Pietà. No Vatican tour goes deeper. This is the most intimate and unique way to visit the Vatican - just you and your private guide. You will have one-on-one interaction as you experience the Sistine Chapel, Vatican Museums and St. Peter's Basilica, where you can spend extra time on your own after the tour. Enter 30 minutes before any other group and 1.5 hours before the public via our Official Partner entrance. Enjoy the Sistine Chapel virtually alone and then get Skip-the-Line Access to St. Peter's to see the Pietà and the Crypts. Discover the Vatican, its Museums and Gardens, in a half day like never before. With our exclusive tour, you’ll have privileged early entrance before official opening time to have breakfast, then on to an open-air bus for a tour of the grounds before going on to see the Raphael Rooms, the Sistine Chapel and St. Peter's Basilica. Visit the Sistine Chapel and the other treasures of the Vatican Museums during a special night opening when they are much less crowded. Follow your guide on an enchanting journey through Rome's must-see art collection and take in the history of the Vatican itself on this unique tour experience. Get the most out of this once-in-a-lifetime experience with expert guide insight into the rich history and traditions of the Papacy and the Papal Audience ceremony. We secure your free tickets, guide you through the crowds and arrive early, ensuring you get the best seats available. Treat yourself to the private version of our most comprehensive Vatican Museums tour. A private guide will show you some of this vast art collection's secret gems, like the Bramante Staircase, opened especially for your group, plus major draws like the Raphael Rooms, Sistine Chapel and St. Peter's Basilica. Explore the Vatican Museums' best with No Wait Entry and skip the line access to St. Peter's on this specially designed 2-hour tour for families with kids aged 7-12. An expert guide will breathe life into the history of masterpieces like the Sistine Chapel and more with commentary and activities to keep your children engaged every step of the way. Take in two of Vatican City’s contrasting attractions in one day. Enter the museums with our Skip-the-Line access and gaze at the genius of the Sistine Chapel. Then board the rarely seen Vatican train for a journey to the summer residence of the popes at Castel Gandolfo where you can visit the papal apartments, bedrooms, and gardens. Discover Rome’s most iconic sights on your terms, with our special combination ticket offer. Our unique Vatican partnership and privileged access to the Colosseum allows you to experience these famous attractions like a VIP, entering immediately and enjoying more free time than on a guided tour. Marco Balich’s Last Judgement show brings a new perspective to the world of art. It depicts the life of Michelangelo as he painted the Sistine Chapel & Last Judgement, showcased through vibrant projections, dance and music. It will enlighten you on the secrets of the Sistine Chapel while cementing itself as an enchanting theater experience. For the last 15 years, we have created tours which have brought more than 1 million guests into the Vatican. We have become the only operator specializing in guided tours that has been granted the highest Official Vatican Partner status. We have a team of passionate art historian guides with us who navigate the miles of sculptures, frescoes, and paintings in the Vatican. They have a lifelong obsession with the Vatican masterpieces and they like nothing better than sharing their expertise with others on our guided tours through the Museums. Our tours are more than history lessons. We aim to create unforgettable experiences for those who come to the Vatican. Whether you want to explore with your family, see the artworks by night, or have an early morning breakfast in the Pinecone Courtyard before the Vatican Museum doors open, we can make it happen for you. No matter which tour you choose, you will hear the stories behind the art and create memories that stay with you long after you leave. All you need to do is get in touch and let us bring your Vatican story to life. We help you discover the Vatican without the crowds. We have guided more than 1 million people through the Vatican. 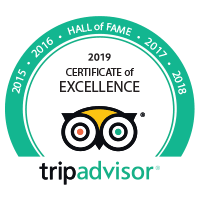 We are the highest rated, best-loved Vatican tour operator, and our reviews prove it.